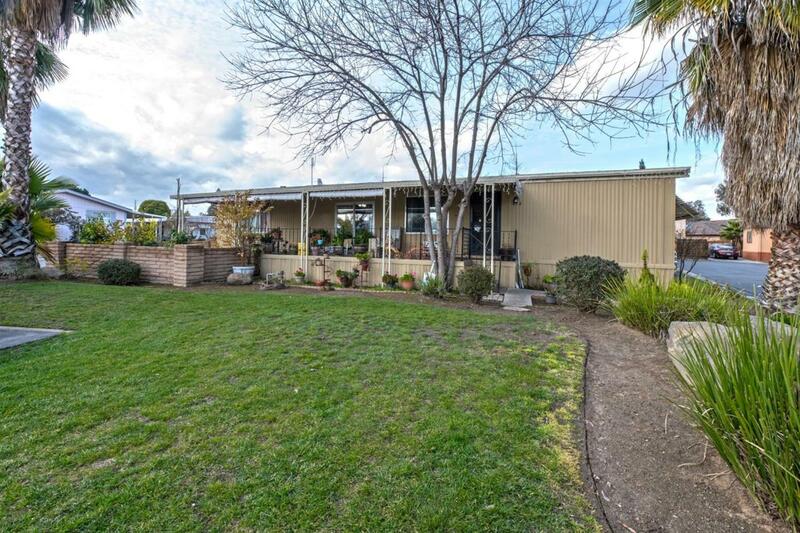 Fantastic Opportunity, no age restrictions mobile home park with Clovis Unified schools. 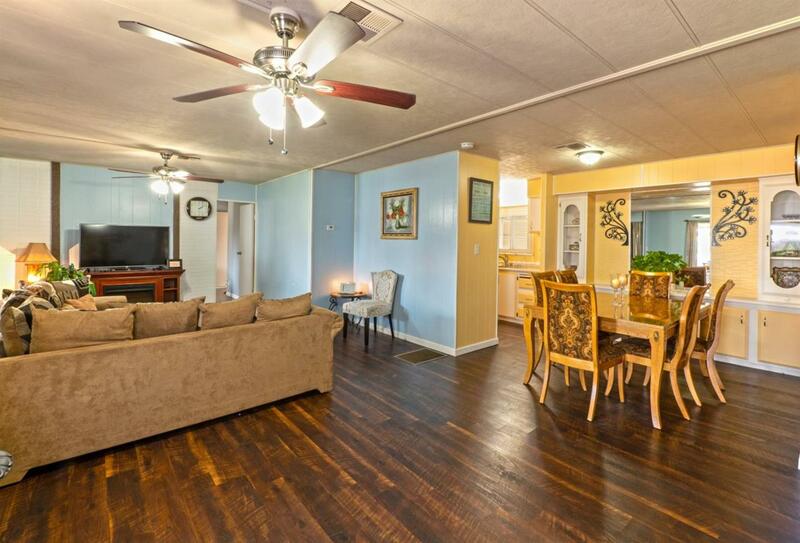 This three bedroom, two bath home has prime location in the back of the park. This space used to be the office and has a large patio and expansive grassy area in the front with ample parking. 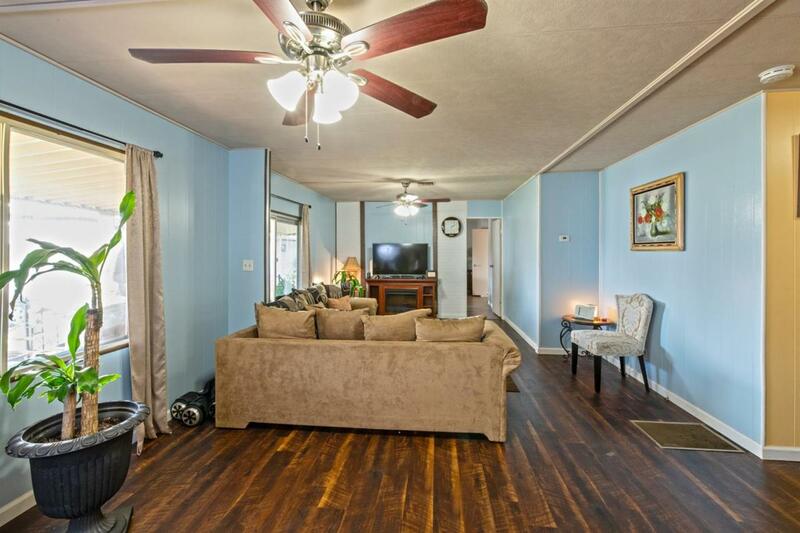 This home has been updated and has laminate floors, a newly updated tile shower and Central AC & Heating. 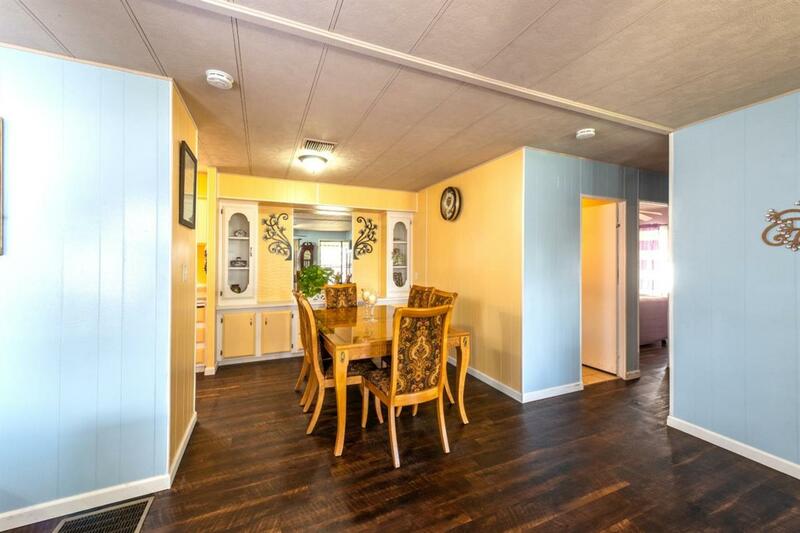 It has open galley kitchen with gas appliances. The master has its own adjoining full bathroom. There is a community pool and spa, and lots of room to roam. With Kaiser across the street and RiverPark, and Park Crossing Shopping Center a short walk away this home is in a central location ready for its new owner. Close to freeways .